Around the twenty-second of every April, I must admit that I do feel a certain affinity with Ebenezer Scrooge as he was interrogated by his nephew, Fred. “Christmas a humbug, uncle! You don’t mean that, I am sure.” And while I certainly demur from his assessment of Christmas, I am in agreement with old Scrooge that calendrical commemorations shape effectually our lives, and not always for the better. Time in its various dimensions—historical or cosmic, public or private, linear or cyclical, continuous or discontinuous—is a fundamental feature of life experience. And yet, cultural anthropologists are in broad agreement that what qualifies as ‘time’ is in fact a social-cultural construction marked-off by the frequency of the culture’s rituals, ceremonies, and festivals. Calendars don’t simply tell time; they contribute to creating and recreating cultural life and human experience in terms of a meaningful order. My concern, then, is that my student’s views on Earth Day and Easter are indicative of wider macro-cultural beliefs and practices that fail to recognize how these two calendrical events in fact reveal two incompatible ecologies. If we were to travel back two thousand years ago, we would see a somewhat similar situation in the city of Athens, at a place called Mars Hill. There, instead of a cynical student in the classroom, we have literal philosophical Cynics in the midst of Epicurean and Stoic philosophers. And in their gathering as the so-called Areopagus, the summit of Athenian intellectual life, there stood before them a man by the name of Paul, who proceeded to tell a grand and wonderful story: The God of the Hebrews, the so-called ‘Unknown God’ of the Athenians, created the entire universe as the prototype of a temple, a great cosmic arena to display day and night the fullness of his glory and majesty. And yet the presence of sin and death by virtue of the disobedience of humanity has marred this cosmic temple, resulting in the frustration of that glory both in creation and in the creature. But, in the midst of the fallen state, this God promised the Jewish patriarchs that he would one day decisively deal with the problem of sin and death and reconcile the creation back to himself, with every square inch of the cosmos emanating his divine glory. This promised time has now arrived with the coming of Jesus of Nazareth. As the Davidic King, Jesus is the one through whom the world is reconciled, so that sin and death no longer have dominion over us. “How could you possibly know this”, they would ask of Paul. His answer was consistent and unswerving: “Christos anestē! 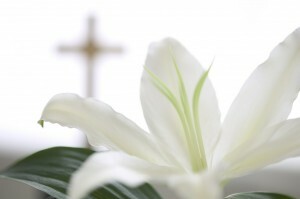 Christ is risen!” In his cross and resurrection, sin and death have been vanquished. The hope of the Hebrew has in fact broken into this world through the resurrection of Christ. The frustrated Hellenistic hope of resurrection, illustrated by Orpheus’ futile efforts to bring back his bride Euridice from death and Hades, has been now been fulfilled by Christ. The pursuit of unity in diversity, the Greco-Roman solution to the disorder of this world, has been realized in all nations being swept up into the unity in diversity in the fellowship of the Trinity. Hence, Christ’s resurrection was from the beginning bound up with cosmic significance. The earliest Christian confessions (1 Cor 8:6; Phil 2:11; Col 1:15-20; Eph 1:3-14; Jn 1:3) pronounce Christ’s exaltation entailing Christ’s Lordship over all creation (cf. Rom 4:17). Paul’s letter to the Corinthians describes God the Father and the Lord Jesus Christ in what biblical scholar Greg Sterling calls prepositional metaphysics, where the dynamics of the cosmos were described with terms like ‘from,’ ‘in,’ and ‘through.’ Thus Paul says: “For us, there is one God the Father, from (ek) whom are all things and we in (eis) him, and one Lord Jesus Christ, through (dia) whom are all things and we through (dia) him” (1 Cor 8:6). Similarly, in Col 1:15-20, Christ is depicted as the one through whom all things are created and in whom all things cohere. Indeed, in Christ, the divine Logos, all things are made new (Rev 21:5). However, the advent of the modern age represents a very different ecology, one that has been termed a ‘socialized ecology.’ Modernity theorist Anthony Giddens notes that the modern age is characterized by an unprecedented level of human intervention in the natural world. Irrigation and sanitation systems, drainage and sewer technologies, mechanisms for monitoring weather currents, and improved management of the natural environment collectively spare us from the droughts, contagions, floods, and other natural hazards that would have devastated pre-modern societies. Indeed, ours is an age distinguished by what Bill McKibben has termed the ‘end of nature’; society and ecology are now so intimately bound together that the natural world no longer exists as a phenomenon independent of human activity and society. Of further interest is in how these two consequences interact. Because social ecologies are devoid of any collectively recognized moral law, modern ‘morality’ becomes consequentialist, in that only coercion, compulsion, and extortion can provide a motivation for ethical conformity. This is where the alarmism of the apocalyptic predictions for global warming comes in, and why dissenting scientific opinions, represented most notably by MIT climatologist Richard Lindzen, are ignored if not ridiculed. The significance of the very possibility of imperilment is artificially inflated and immanentized in a world that operates according to consequentialist motives and risk assessment. But these consequences, it is asserted, can in fact be avoided if we apply the appropriate techniques. This is the importance of stressing the salvific significance of activities such as planting trees, recycling, and reducing our carbon footprints. This turn towards technique to remake positively our world extends from the very subjective processes by which we reinvent ourselves; the sovereign self supplies the therapeutic resources by which we can reinvent the planet. And herein lies my concern with Earth Day and what its observance reveals about ourselves. Earth Day commemorates the orientation of sovereign individuals toward a socialized ecology devoid of morality, constituted by discourses and practices that entail consequentialist ethics and reconstructive techniques. As such, Earth Day and Easter represent two fundamentally different ecologies, what we might call a ‘modern ecology’ versus a ‘moral ecology.’ This is why I find various Christian attempts to ‘baptize’ Earth Day so forced. To the degree Earth Day is a temporal and practical extension of a socialized ecology devoid of morality, it renders irrelevant the cosmic claims of the Christian gospel. Christianity has always affirmed man’s capacity to destroy God’s creation, at the heart of which is the defilement of the image of God which we all bear. What Christianity has not done is accommodate such detrimental capacities to thoroughly secular and amoral frames of reference. Thus, given the incessantly secularized piety of Earth Day, the call to good stewardship over our environment begs the question: Which environment? Are we to be good stewards over an artificially crafted ecology governed by consequentialism and technique, or an inherently moral ecology that has been incorporated into the transformative life, death, and resurrection of Christ? So what does Easter have to do with Earth Day? If we recover what Easter is really all about, then, well, nothing. Easter is not about recycling, but resurrection; it is not about saving the environment, but celebrating the one who already has. As Christians, we practice a Lenten fast not to reduce our carbon footprint, but to empty ourselves in a manner comparable to Christ’s kenosis, and to be filled with his presence through prayer and contemplation. We bless water, consecrate bread and wine, and plant gardens not for fear of an impeding ecological Armageddon, but to prepare time and space for their future transfiguration when Christ returns, when God will be all in all. 7 Comments on "Earth Day, a Humbug? From Resurrection to Recycling"
Very thought-provoking. Thanks for sharing! This is a joke, right ? I was at the original Earth Day, in Washington D.C., on a Saturday during my senior year of high school. We sat around and drank beer and listened to the droning. What was the subject matter of the endless, boring, gloom-and-doom speeches? The first was the impending “Second Ice Age.” Yes, the same bearded, bespectacled academics told us that unless we immediately change our ways (and go back to the horse-and-buggy), we are doomed to freeze. These so-called “experts” were just so sure. And the compliant, mindless press nodded in agreement. Just like today. The second cause for hysteria was the impending nuclear holocaust with the Soviet Union. Unless all nuclear weapons were destroyed, we were doomed. They were all so sure, and the compliant, mindless press agreed. Of course, the only thing destroyed was the Soviet Union. Most of these know-it-all academics can’t find their way out of a closet. They were hand-wringing, hate-America-first buffoons then, and are no different today. Unfortunately, unlike in 1970, they alter policy, and thus, they are dangerous. This is because their primary goal is a solar and wind powered American utopia which can never exist- and destroying our economy and our standing in the world in the process is a beneficial secondary benefit, from their insane prospective. delacrat, take a look at the bi-line, this is not one of my post. This was put up in our ongoing attempt to allow all sides to have a voice. 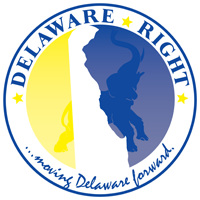 As I have tried to make clear from the beginning, Delaware Right is not “MY” blog, I am merely a blogger who writes for Delaware Right. From time to time we post articles from guest, and this was sent to us with a request to post it. Since it offers a view point of many, we felt it was at least worthy of discussion, which has been our number one goal since starting Delaware Right, to have the discussion. Ok. It’s not your by-line. That’s fair enough. But someone actually decided that this gibberish was “worthy of discussion”. or… maybe, like I said before, “This is a joke, right ? Well Delacrat even you saying it is a joke is a discussion of the post. I have to admit as someone who has studied the Bible on my own, I had trouble making the leap here. I find that many Christians spend way too much time either trying to validate their faith through government based on this or that holiday and how government treats it, or they perceive offense in every action. Personally my faith is neither weakened nor strengthened by anything government does or does not do. Faith in my view is an individual act, and what government does, or what sins you commit have no effect on my soul, my soul is either saved or damned based on my actions. As usual, your response is “a joke.” The article is not “gibberish,” it’s merely beyond your level of comprehension. And if it’s not “worthy of discussion,” why are you discussing it?